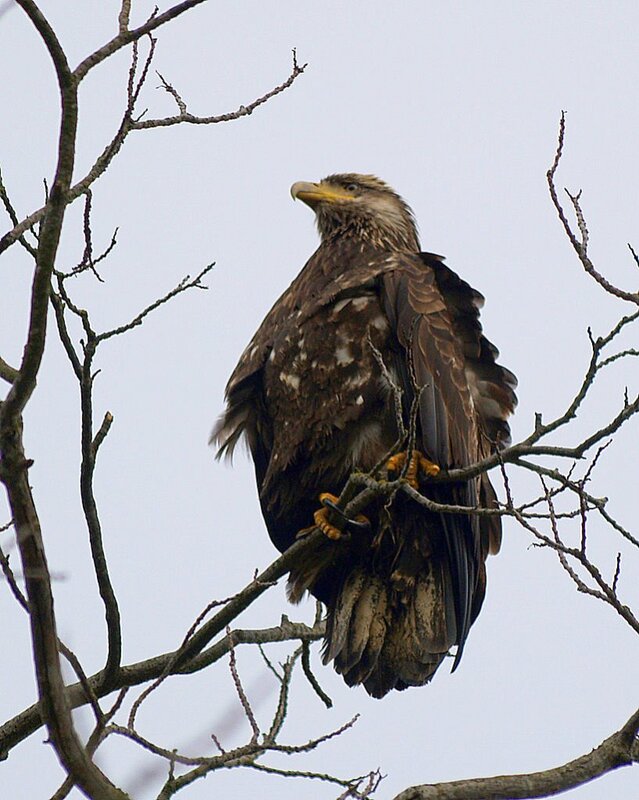 Wasn't a total waste, lots of history out on the estuary as well as meeting an imature Bald Eagle. They don't get their white head and tail until they're about 3-5 years old. Scuffy young thing, his Mom/Dad took of when we got there but this guy wasn't fussed. 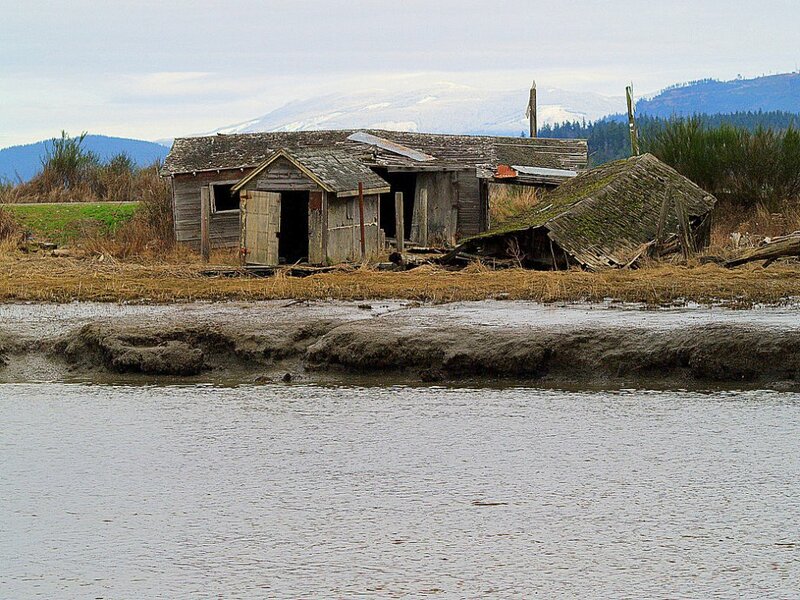 The old shack must have been a dreary place even at it's hayday, when Salmon was king and you could almost walk across the river on their backs. Same goes for the boat, looks like someone cut the engine out of it and walked away. Had a light dusting of snow in the foothills last night so it was 'cool' on the fingers this morning. Nice shots Ken. I think #3 is actually my favorite. Nice artistic composition and sharp focus. I like them all, Ken. 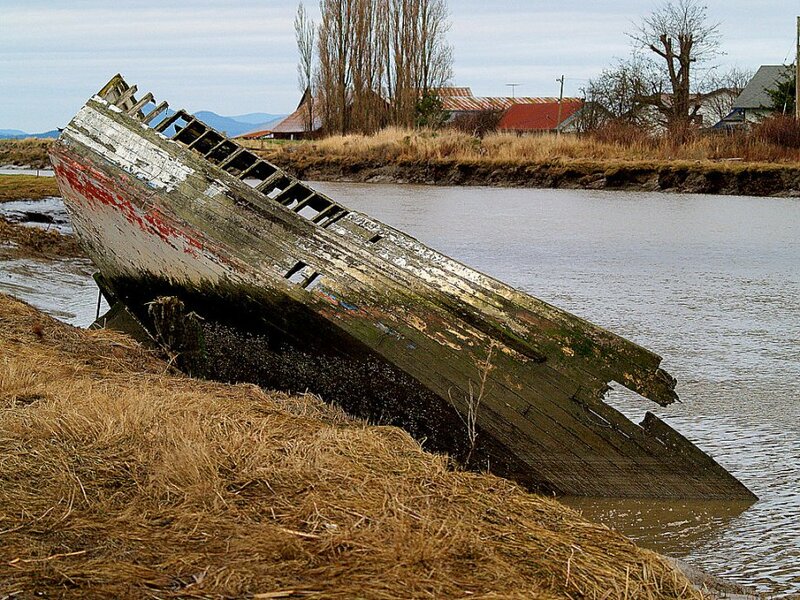 #2 made me laugh - I can imagine a real estate agent trying to sell it: "Waterfront fixer-upper. Location, location, location." 'Fess up, Ken - that thought occured to you, we know it did. And Rriley's first thought was how he would light the interior for a sales photo. Last edited by tkurkowski; Feb 21, 2012 at 6:34 AM. Some light work with a hammer and paintbrush could give this, one of a kind waterfront dream home a new life. Park your yacht at your back door. (when the tide is in!) Bird sactuary near by. Great idea guys. Thanks for your comments, loved them..
Last edited by Scouse; Feb 21, 2012 at 3:10 PM.